It's the second time my rabbit has gotten sick. I'm getting really worried - he is a family rabbit and we love him loads. He's not just a rabbit he's a part of the family. He's not running very well, stops and sits down blowing white snot through his nose and mouth. We try to encourage his running but he falls over. Hey Anon, sorry to hear about your sick rabbit. All that you say leads me to the same conclusion you have reached: that the rabbit may not last much longer. When it is a "family member," it's hard news to receive, and that is why I'm sorry to be the bearer of miserable news. You are describing a very old rabbit whose immune system is failing. 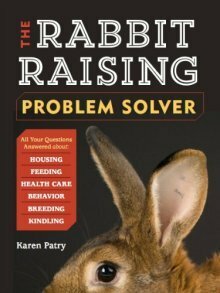 The rabbit is sick with pasteurellosis, which in its condition it is not likely to survive. Even worse is the fact that the rabbit has trouble running or staying upright. This indicates the spread of the infection beyond the nose, throat, sinuses and lungs to the inner ears, or even to the brain. A vet might offer a proper diagnosis, if the rabbit survives long enough to actually see the vet. Plus, the vet might prescribe antibiotics, however, if the rabbit's time has come, nothing will forestall the inevitable for very long. I pray for comfort for you and the family, and hope you will be able to find another wonderful Netherland Dwarf (or other rabbit) to fill the void once the grief has subsided. Sorry to hear it Athena. It certainly *sounds* like a sudden onset flare-up of disease-causing bacteria in the intestines, but there's no way for me to be sure of this from way over here. Such bacterial imbalances are typically brought on when the rabbit eats too many sweet treats (carbohydrates), but not always. Thanks for the update Anon, so glad to hear it. Yeah, keep the old man cool. But, I'm still concerned about that white nose discharge. That is still a serious infection, and doesn't bode well for your rabbit's longevity. A trip to the vet and some rabbit-appropriate antibiotics (have to be careful with rabbits and antibiotics) might still be in order.